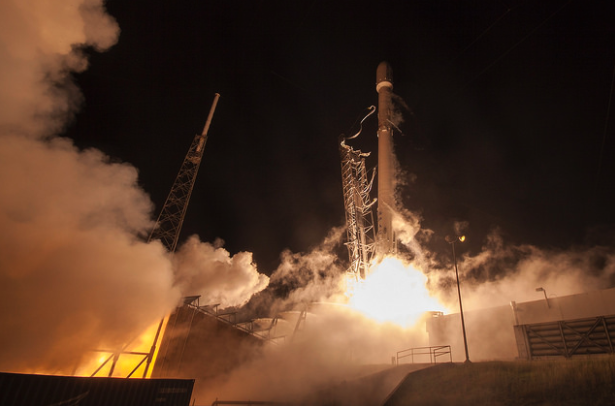 SpaceX’s Falcon 9 rocket is set for liftoff from Cape Canaveral on Tuesday, heading due east over the Atlantic Ocean to deliver the GovSat 1 communications satellite into orbit around 32 minutes later. The 229-foot-tall (70-meter) rocket is poised for launch from pad 40 at Cape Canaveral Air Force Station in Florida at 4:25 p.m. EST (2125 GMT) Tuesday at the opening of a 141-minute launch window. Perched atop the rocket is the GovSat 1 communications satellite, a spacecraft manufactured by Orbital ATK for a public-private joint venture named LuxGovSat founded by SES and the government of Luxembourg. GovSat 1’s military-grade X-band and Ka-band communications payload will support defense and security missions by Luxembourg and its NATO allies across Europe, Africa, the Middle East and adjacent waters.